Lance Armstrong after winning his record seventh Tour de France. Lance Armstrong was one of the greatest athletes of his generation or any other. He owned a seat at the table with Michael Jordan, Wayne Gretzky, Muhammad Ali, Pele, Roger Federer and Tiger Woods. That is all gone now as allegations of doping, combined with Armstrong’s persistent lying and penchant for attacking his accusers has consumed this famed athlete’s reputation. The myth of Lance Armstrong stems from his modest accomplishments as a professional cyclist between 1992 and 1996, when he was then suddenly diagnosed with stage three testicular cancer, which had spread to his lungs, abdomen and brain. His doctor gave him a 40 percent chance of survival after surgery. Improbably this tough Texan beat those odds, and went on to win a record seven consecutive Tour de France titles between 1999 and 2005. Doping allegations are nothing new to Armstrong, they have persistently followed him throughout his career, but he vehemently has denied them. In fact he took it a step further. 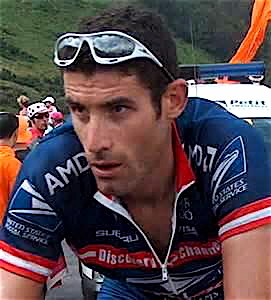 Those who challenged Lance often were intimidated and threatened, subsequently hauled into court, then discredited, ruining the careers and reputations of many. I understand wanting to protect the integrity of a career like Armstrong’s, but it was the way he went after his accusers that always seemed curious. It makes sense in retrospect when considering in addition to Armstrong’s cycling success, there is the money he earned, his sponsors, fans, and the basis for his Livestrong Foundation – that whole empire was built upon seven tainted yellow jerseys. If the victories crumbled it all could collapse. How could the world’s greatest cyclist be doping and never get caught? 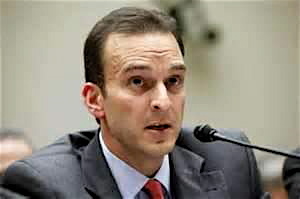 U.S. Anti-Doping Chief Travis Tygart. The explanation came on October 10, 2012 when the U.S. Anti-Doping Agency (USADA), released its comprehensive report citing witness testimony, financial records and laboratory results, that together indicated Armstrong was the central figure in a vast doping scheme and repeatedly lied under oath. 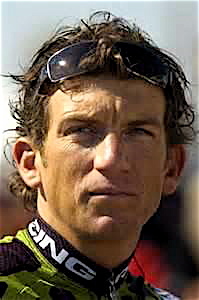 All seven of his tour titles were vacated and Armstrong was banned from participating in cycling for life. Everybody around Armstrong came up dirty for something: EPO, testosterone, steroids, blood doping – they all lead to increased stamina, recovery and performance; or they helped supply the drugs and cover-up the illicit activity. Lance would have us believe he saw nothing and participated in no usage of performance enhancing drugs (PED). It turns out Armstrong did test positive once for a steroid, during the 1999 Tour, but was not sanctioned because the team produced a fictitious backdated prescription that showed Armstrong received this drug in a cream form to treat saddle sore. Tyler Hamilton maintained the cycling code of silence for years until he was questioned before a grand jury. There also is the allegation that Armstrong tested positive for the blood-boosting hormone EPO, which controls red blood cell production, in June 2001 during the Tour de Suisse, a warm-up race for the Tour de France. This came out under sworn testimony by Tyler Hamilton, Armstrong’s training partner and teammate on the U.S. Postal Service team. Hamilton rode with Armstrong on his Tour victories in 1999-2001, and won a gold medal in the 2004 Olympics. He is now retired after testing positive three times, losing his gold medal, and receiving suspensions totaling 10 years. According to Hamilton, Armstrong provided him EPO and they both participated in the use of EPO, testosterone and blood doping numerous times in the presence of each other while on tour. Lacking additional positive tests the USADA corroborated its suspicions by conducting further testing on blood samples already provided by Armstrong. Additionally, the USADA obtained data from French officials who had retested Armstrong’s samples from the 1999 Tour. The Union Cycliste Internationale (UCI), the world governing body for sports cycling, ruled these samples had been mishandled and couldn’t be used to prove guilt, but six of the samples showed “resoundingly positive values” for EPO. 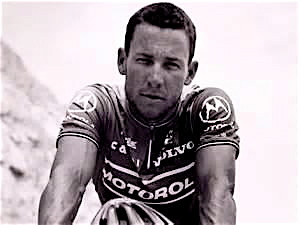 To limit exposure to positive tests Armstrong and his teammates would employ tactics to stall and deceive drug testers. Sometimes it was as simple as not answering the door when officials would come to take blood samples. By stalling they had a chance for the drugs to work through their systems or employ drug-masking techniques. Longtime Armstrong ally and teammate George Hincapie. According to the report, Armstrong abruptly dropped out of one race after his teammate George Hincapie warned him through a text message that drug testers were at the team’s hotel. Armstrong had, Hincapie said in an affidavit, just taken a solution containing olive oil and testosterone. 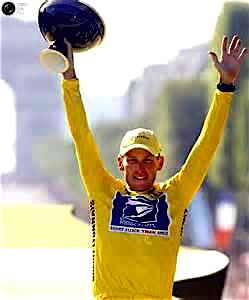 During his first Tour de France victory in 1999, Armstrong’s drug of choice, according to the sworn affidavits, was EPO. At the time there was no test for that, but when rumors began circulating about the arrival of an EPO test, Armstrong and some of his teammates switched to withdrawing their own blood, then reinfusing the blood at a later date when it would provide an oxygen boost. This technique, known as blood doping, didn’t have a test yet either. 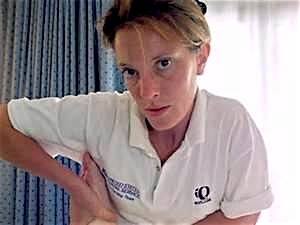 Testimony described how the riders turned their hotel rooms into makeshift blood-transfusion centers. Pictures would be found left off the walls in their rooms, where the hooks had been used to hang intravenous bags of blood. One person who saw all this was Emma O’Reilly, who in 1996 began as a soigneur on the U.S. Postal Service cycling team. She massaged all the riders’ sore muscles, laundered their clothing, booked hotel rooms, prepared the food, whatever was necessary to get the riders to the next stop. O’Reilly quickly realized there was more to her job description than met the eye. She wound up transporting doping materials across borders, disposed of drugs and syringes, and distributed performance-enhancing drugs to the team’s riders. The bag lady, Emma O’Reilly, who transported performance-enhancing drugs for Armstrong’s team. O’Reilly even used her makeup skills to help cover the bruised arms of cyclists who were shooting up banned substances. She tried getting her story out in 2003, in the book “L.A. Confidentiel: Les Secrets de Lance Armstrong,” and Armstrong had her hauled into court and demonized as a prostitute with a drinking problem. This time her sworn testimony is one of 26 accusers, including 11 former teammates, which make up the heart of the USADA’s case against Armstrong. Then there is the money trail linking Armstrong to disgraced physician and training guru Michele Ferrari, who also has received a lifetime ban from the USADA. Many consider him the mastermind behind this doping scandal. 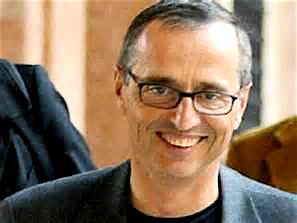 Dr. Feelgood, Michele Ferrari, who is believed to be the supplier of PEDs to Armstrong. Financial records show at least $210,000 being paid by Armstrong to Ferrari. Plus there are emails cited in the report from 2009 where Armstrong asked Ferrari’s son if he could make a $25,000 cash payment the next time they saw each other. UCI President Pat McQuaid concurred with the USADA’s findings and disqualified all of Armstrong’s cycling results after August 1, 1998, and banned him for life. “Lance Armstrong has no place in cycling and he deserves to be forgotten,” McQuaid said. Suddenly Armstrong was “finished with this nonsense” of being accused of using PEDs, and being the subject of a two-year federal criminal investigation. Did Armstrong simply lose the will to fight? It’s more likely he realized he no longer could bully his way past the truth. As easy as it is to vilify Armstrong, he was by no means the only rider cheating. The report goes on to establish that “20 of the 21 riders” that finished in the top three on the Tour between 1999 and 2005 have all been directly tied to doping. Repercussions for Armstrong from this damning report have been swift. Longtime sponsors Nike, Trek Bicycles and Anheuser-Busch have all dropped him, and his tarnished reputation required he distance himself from the Livestrong Foundation. Legal challenges are already in the works from insurers seeking to recover millions of dollars paid to Armstrong for bonuses related to his Tour victories. There also is the possibility that federal prosecutors might resume a criminal investigation into Armstrong having possibly used government money to finance a doping operation while as a member of the U.S. Postal Service team. Charges could include defrauding the government, drug trafficking , money laundering and conspiracy. This week reports surfaced that in 2004 representatives of Armstrong’s offered the USADA a donation of $250,000, articulated to be a contribution to help fight doping in cycling. As this was clearly a conflict of interest for the agency it turned down the money, but makes Armstrong appear to have conspicuously attempted to bribe the very agency that was investigating him for that same behavior. Now we’re hearing rumors Armstrong wants to come clean and apologize. Excuse me if I wretch for a moment at this supposed attempt at sincerity. Lance has agreed to an exclusive 90-minute interview with Oprah Winfrey set for Jan. 17. Anyone taking a seat on Oprah’s couch generally has something personally damaging to reveal. That he cheated is no surprise. Everyone apparently was doping. It’s very similar to the steroid scandal in baseball. The difference here is that guys like Barry Bonds, Roger Clemens and Jose Canseco were never particularly loved. Sammy Sosa and Mark McGwire shared one memorable steroid-fueled season, but none of these players are in Armstrong’s class. Lance transcended his sport. He made that jump from being just an athlete, to becoming an icon, and brought along with him children, cancer survivors, and thousands seeking inspiration. His accomplishments remain relevant. He did ride up those mountains; same as Barry Bonds did knock all those balls out of the park – these are not easy tasks. It’s the depth of deceit employed, and the vehemence with which he attacked those that challenged his lie that distinguishes Armstrong’s fall from grace. Just this week we witnessed some of the professional retribution that is likely to last for years against baseball players implicated in using steroids, as no players were selected for the 2013 Hall of Fame class. There are public and professional penalties to be paid for cheating. Some may last well past an offender’s lifetime. What Armstrong needs to consider is whether he is about to do a complete 180-degree shift and go from hero to villain. I imagine he is just starting to realize this. Armstrong is a relatively young man at 41. He wants to compete in triathlons but can’t participate in any sport subject to anti-doping regulations, and I doubt many companies are calling on him to make public appearances. Those walls close in fast, and his friends are few, as most have had to give up everything and tell the truth about the doping scandal, including Armstrong’s involvement. So unless Armstrong comes clean he is staring at a lonely stretch of life. Perhaps recognizing this possibility is what spurred Armstrong to book a spot on Oprah’s couch. Lance doesn’t want to become the next Pete Rose. This entry was posted in Exercise, News. Bookmark the permalink.